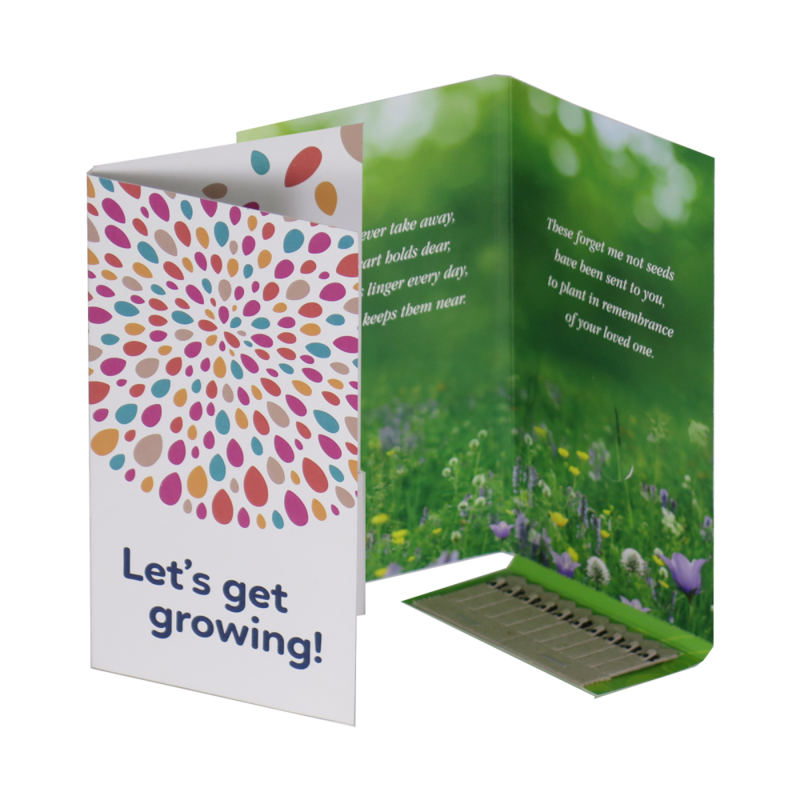 Seedsticks Greeting Cards are a great way to communicate a variety of messages from seasonal greetings to special events due to the size of it's printable area. Pack size when stapled and folded is 160mm x 85mm. Minimum order quantity is 250 units.